Country music superstar Scotty McCreery is scheduled to perform this Sunday at PBS’ annual NATIONAL MEMORIAL DAY CONCERT with a touching performance of his single “The Dash,” a song that is dedicated to our men and women in uniform. McCreery’s performance will honor the healing journey of a Gold Star family from the Vietnam era, now supporting other grieving families from recent conflicts. The concert pays tribute to America’s Gold Star families of all generations that bear the burden of battle long after the death of their beloved service members. The event’s all-star lineup includes: General Colin L. Powell USA (Ret. ); Renée Fleming; Vanessa Williams; John Ondrasik of Five for Fighting; John Ortiz; Christopher Jackson; Robert Patrick; Mary McCormack; Ana Ortiz; Ronan Tynan; and Russell Watson, in performance with the National Symphony Orchestra under the direction of top pops conductor Jack Everly. Oscar nominee and Emmy and Tony-Award winner Laurence Fishburne and Tony Award-winner Joe Mantegna are set to co-host the PBS broadcast, which regularly ranks among public television’s highest-rated programs. Broadcast live from the West Lawn of the U.S. Capitol, the 28th annual broadcast of the NATIONAL MEMORIAL DAY CONCERT airs live on PBS Sunday, May 28, from 8:00 to 9:30 p.m. ET before a concert audience of hundreds of thousands, millions more at home, as well as to our troops serving around the world on the American Forces Network. The concert will also be live-streamed online on Facebook Live and www.pbs.org/national-memorial-day-concert and available as Video on Demand for a limited time only, May 28 to June 10, 2017. The program is a co-production of Michael Colbert of Capital Concerts and WETA, Washington, D.C. Executive producer Michael Colbert has assembled an award-winning production team that features the top Hollywood talent behind some of television’s most prestigious entertainment awards shows including the GRAMMY AWARDS, COUNTRY MUSIC AWARDS, TONY AWARDS, SATURDAY NIGHT LIVE, and more. About Capital Concerts Capital Concerts is the production force behind two of television’s longest-running and highest-rated live programs commemorating America’s most important holidays. THE NATIONAL MEMORIAL DAY CONCERT, the nation’s tribute to our men and women in uniform, and A CAPITOL FOURTH, our country’s biggest birthday party, have become American traditions that have consistently ranked among the highest rated programs on PBS over the past decade. The holiday specials have been honored with over 80 awards including the New York Film Festival Award, the Telly Award, the Golden Cine Award, the National Education Association Award, the Christopher Award and the Writer’s Guild of America Award. Underwriters The NATIONAL MEMORIAL DAY CONCERT is made possible by grants from the Lockheed Martin Corporation, the National Park Service, the Corporation for Public Broadcasting, the Department of the Army, General Dynamics, PBS and public television stations nationwide. Air travel is provided by American Airlines. Scotty McCreery Unveils New Webisode Series, “ScotTV.” Scotty McCreery has released the first two episodes of his brand-new webisode series, “ScotTV.” The series will give fans a behind-the-scenes experience with Scotty as he embarks on his first headline tour, sneak peeks of his forthcoming sophomore album, and much more. “We always have a lot of fun out on the road and these first episodes of ScotTV are just the beginning,” says McCreery. “2013 is going to be a new chapter in my career and I’m excited to share it with all my fans. I hope they’ll enjoy the ride as much as I do.” McCreery is also announcing more dates for his first headlining tour. The Weekend Roadtrip Tour kicked off on February 14 and will make stops through May. 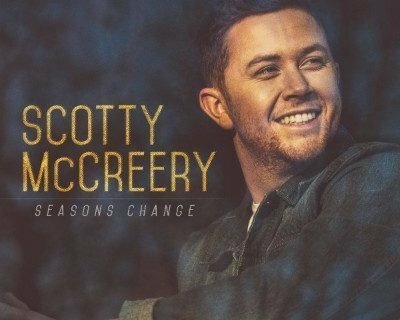 Scotty is also giving fans a first listen to new music from his next album, scheduled for release later this year on 19/Interscope/Mercury Records. Below is episode 1 of “ScotTV,” enjoy!